Those who visited Warsaw in the nineties and around the turn of the century may have lingering memories of a seriously mucky city. With an estimated 1,500 brothels in operation the city established a reputation as a destination for hairy-palmed perverts. Then along came the late Lech Kaczyński as Mayor of Warsaw who became a one man anti-sleaze machine driven by a zealous desire to restore Warsaw’s lost innocence. While he never fully succeeded in cleansing Warsaw of the brothels and the flyers, Kaczyński’s crusade had a striking impact. 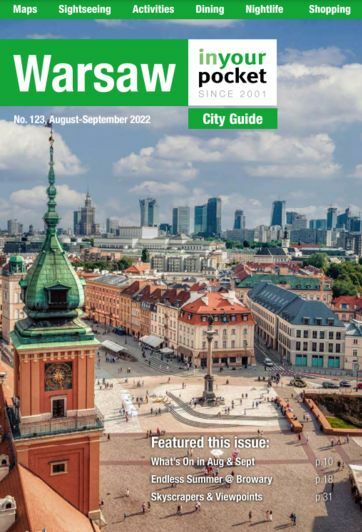 One of the results of this campaign is that Warsaw now offers a collection of seemingly legitimate and, on the whole, fairly presentable ‘Gentlemen’s Clubs'. Brothels still exist but not in the huge numbers that they once did. Although there is no specific red light district you’ll find a small concentration of brothels around al. Jerozolimskie, ul. Wilcza and ul. Nowogrodzka. They’re simple enough to find, just look for the flyers pinned to car windscreens or clogging up the gutters. Don’t expect English to be spoken, and don’t reckon on being greeted by the sirens pictured on the aforementioned flyers. Now, in the old days we’d use this space to fire some recommendations your way. Legal factors now make that a foolhardy path to pursue, so instead we advise prospective punters to visit the Polish forums on www.internationalsexguide.com, where the message boards are alive with the latest dispatches from the frontline, as well as pics and maps from the more committed posters. For independent girls check websites such as www.odloty.pl and www.sexatlas.pl, where you’ll find a choice of literally hundreds upon hundreds of feisty Polish girls promising a lively time. Your third choice is to simply put your faith in a taxi driver. More often than not this will involve being driven to the suburbs and to whichever brothel is giving the cabbie a kickback. Prices in these ‘high end’ establishments will tend to start at 200zł, though don’t be tricked into buying champers for the lady unless you’re sure you can afford it. Similarly, greenhorns should watch their wallet in strip clubs – bills easily spiral, even more so when the drinks start being poured. Scumbag, fly-by-night brothels still exist; STDs are a fact of the trade, and don’t think for one jiffy you’re beyond reproach. Do not assume either that the Barbie of your choice is in on the game because she enjoys rolling around with ageing baldies. Poland has an appalling record where human trafficking is concerned, and it’s safe to assume a fair few ladies staffing such venues have been coerced into their ‘career’. Finally, the venues listed here are generally central and established but please be warned that we’ve had reports in the past of 8,000zł being spent willingly in one club listed here and another of 8,000 sterling being spent unwillingly in one which is not listed here. In the second case half of the money was retrieved from the bank because of ‘payment irregularities’ but be on your guard. A rule of thumb is to generally avoid street solicitation of any kind, especially if it comes in the form of a sweet girl with an umbrella inviting you to a club for a 'drink'. If you go to the club of your choice by taxi, make sure the driver takes you to just that, the correct club, and not one miles away with whom they have a partnership.